Dr Slot Casino will then reward you with a bonus (Welcome Bonus is for new players only). The terms and conditions of the bonuses vary between different casinos and might also change over time and between different countries, so it is important to compare the different offers and read the T&C for Dr Slot Casino before signing up. 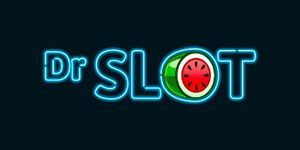 Are you a slots fan tired of being served same treats over and over again? The good Dr Slot Casino, who supposedly “lost his mind when a scientific experiment involving a fruit machine went awry”, will be happy to help by supplying nothing but exclusive titles produced in his own lab. The UK Gambling Commission makes sure he conforms to their strict rules and consistently provides safe and fair gambling experience. The operator called Intouch Games Ltd specializes in mobile casinos and currently also runs mFortune, PocketWin and Mr Spin. Before launching one of Dr Slot Casino exclusive games, the player will be asked to enter a phone number. Having done so, they’ll receive a game link via SMS. An extremely detailed description is provided even before a game opens so you can decide whether it’s worth your time or not. As there are (at this point) only 16 to choose from, you’ll probably want to give each at least a spin. The same proposition is available via downloadable apps to players using iPhones, iPads or Android mobile devices. Fire & Gold plays in both landscape and portrait mode, paying over 9 fixed lines. Wild fire-breathing dragon acts as a substitute when you’re a symbol short of a winning combination, and two dragon-dodging mini-games offer a chance to win mega multipliers. Dragon’s Hoard plays with a wheel which needs to be spun. Land on a green segment and the dragon keeps sneezing, allowing you to claim the multiplier and spin again; landing on a red one will wake him up, so you better collect what you’ve won thus far and get the heck out of its hoard. Wild Fire mini-game takes the player inside the dragon’s lair for some more spinning action and further multipliers. There are also Bonus Free Spins to look forward to and a progressive jackpot to be won by 5 matching Jackpot symbols on a payline. Titanic Wins come with a Sink or Win mini-game in which you’ll have to help Daisy escape the rising tide and make it to a lifeboat in time. Pressing Spin moves her up the ship’s deck and allows you to collect multipliers that increase in size the further up she goes. Lucky Lifeboat mini-game faces you with three lifeboats trying to make it to safety. Spinning the three wheels can either result in the pointer landing on a green section and lowering the respective boat towards the water, or a red section which makes it stuck. Dr Slot Casino 3D Roulette is another exclusive game and a single one fans of table games get to play. This is the standard European Roulette variant you’re likely well familiar with. No other games are available here. This mad scientist is crazy about slots so he’s not even thinking about entering the live gaming arena. At least for now. 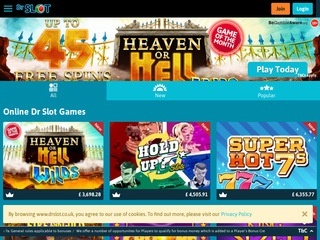 Dr Slot Casino tries to break up the monotony even when it comes to payments and, on top of the usual Visa and MasterCard, Skrill and PaySafeCard, also offers players to deposit £3, £5, or £10 from their phones by selecting the Phone Bill option. Their accounts will be credited immediately and a confirmation sent via SMS. It’s easy, fast, and the same best-in-class encryption method as for other payment options applied to keep your funds and your personal details safe. Just keep in mind that phone bill deposits are limited to £30 a day while there are no maximum limits attached to other banking methods. Deposits hold a 1x wagering requirement so you’ll have to play them through at least once before requesting a withdrawal. It’s important to note that accounts are linked to a specific mobile number, meaning that players can’t deposit or cash out using their PCs or laptops; all transactions have to be done within Dr Slot App. Payout requests for £20 or more are manually checked and it takes the operator 3 to 4 days to process them. A fixed fee of £3 is applied to any individual withdrawal under £10. Dr Slot makes his UK-based team work 24 hours a day and 365 days a year, thus ensuring you’re never stuck for long. Live Chat can be accessed with a single click when playing on a desktop as well as from the support menu of the Casino’s exclusive slots apps. One can alternatively give the team a call and even send a call-back request, or write an email which should receive a response within 24 hours. Regardless of the multiple direct contact options available whenever one needs assistance, FAQ list is a good place to start if you’ve got a question; it offers information related to the Casino and safety measures implemented, players’ accounts, payments, bonuses and potential technical issues.